Can the new McLaren 720S be all things to all supercar buyers? The new McLaren 720S coupe kicks off an all-new Super Series from the British company that promises more performance than the already quite ridiculous 650S. The 720S is another game-changer from McLaren. It's mad to think that a car company with such a short history can establish such a clear design language among the myriad of supercar firms out there, but that's exactly what McLaren has achieved. Doing so in very traditional McLaren style though; that is to say, it's not afraid to defy convention: the 720S's most talked about feature - those open headlight surrounds - underline the firm's determination to do things as it sees best, looking at alternative solutions to allow the 720S its extraordinary performance. A car that has been shaped by the aerodynamicist's desire for clean, managed and downforce-producing airflow, as it has a designer's CAD tablet, the 720S's form is very much defined by its function. It is a complex, interesting and, yes, sometimes challenging, shape in areas, but seen in natural light, and particularly viewed in profile and from the rear, it's a sensational looking thing. There's clear nods to McLarens before it, such as the F1-style doors, the Sports Series car's tapering glasshouse and the open, almost P1-like rear, with its pop-up airbrake and form-hugging rear lights, ample rear diffuser and protruding, high-mounted exhaust pipes. The 720S isn't short of drama visually, which is exactly how a range-topping supercar should be. Inside, it feels a step on from the 650S it replaces. The controls are familiar, while their operation and material quality have been improved. The chief difference between the 720S cabin and its predecessor's is the lightness of the cabin. That's achieved thanks to McLaren's innovative rear window, which is all but pillar-less, making for a widescreen, HD-like view out the back that's like no supercar's before it. It's got better visibility out the back than many family cars, let alone a mid-engined supercar, though it's a shame it's viewed via a plastic-surrounded rear-view mirror rather than a neater frameless one. That interior lightness is enhanced by McLaren's low windscreen scuttle and the thin, exposed carbon pillars that make up the windscreen surround on the Monocage II carbon fibre structure that's central to it. It's strong and light, too, the 720S weighing only 1,419kg with fluids and a 90 per cent fill of fuel, which, given it's got 720hp and 770Nm of torque shifting it, is nothing at all. A new 4.0-litre twin-turbocharged V8 engine consigns the 3.8-litre unit of the 650S and 675LT to history a. Some 41 per cent of the M840T engine - as it's dubbed - is all new; it has faster reacting twin-scroll turbos, new intercoolers, lighter internals, a stiffer, lighter crankshaft and port fuel injection, combining to allow not just a 70hp bump in power, but a CO2 emissions rating of 249g/km and fuel economy of 26.4mpg. You'll never achieve that in reality, but it'll salve your conscience, even only a bit, to know it can. The performance it produces is little short of extraordinary. The 720S will cover the 0-100km/h sprint in 2.9 seconds, be at double that in 7.8 seconds and 300km/h in 21.4 seconds. Flat out it'll manage 341km/h, it a car that in all but its v-max is the measure of its iconic McLaren F1 relation. It's wickedly quick, and the lack of inertia from the engine itself, as well as the feeling it's got so little mass to move, makes its acceleration feel incredibly vivid, which is particularly notable on the move. The seven-speed SSG paddle-shifted transmission helps, as its speed is otherworldly. The engine produces its best with anything more than 4,000rpm on the rev-counter's digital sweep, but pulls with real conviction from low revs, too, even if you're too lazy to flick the left paddle for a downshift. There's the usual choice of drive modes, as ever with McLaren separated over the chassis and drivetrain. The options are now Comfort, Sport and Track - Comfort replacing the old Normal mode. Go to Track and instead of the digital screen merely changing its appearance, it folds down to reveal a simple speed and gear readout and rev-lights. It's a neat trick, but we'd love a head-up display, as the McLaren's light cockpit-like cabin would suit it perfectly, but insiders say that, until the technology's lighter and easier to package, it's too clumsy for a McLaren application. 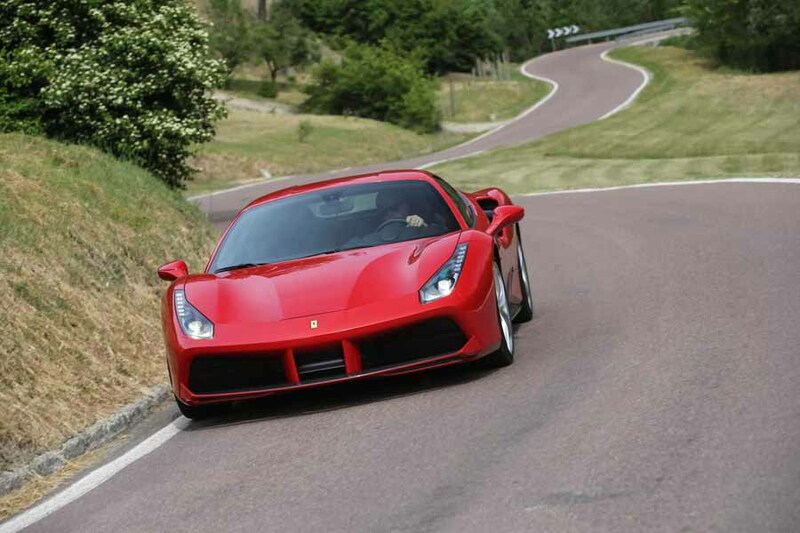 On the road, the visibility aids the feeling of usability; this is a supercar you can place perfectly, which is also in no small part thanks to the faithful response of the steering. The weighting and feedback are near perfect, McLaren sticking with a hydraulically assisted system while virtually every other manufacturer takes the electrical route, and that engineering stubbornness is borne out with one of the most natural feeling steering systems of any modern car. The suspension, a development of McLaren's trick Proactive Chassis Control (now II) system, affords it ride comfort that's supple on the road, yet with extraordinary control, particularly given the fine ride quality. Dial up Sport or Track settings on the road and that quality inevitably deteriorates, though you'll want either for the drivetrain, to give some more voice to the engine. If we've any complaint about the engine it's that, at ordinary speeds, even with the optional Sports Exhaust, it's too quiet. On the motorway it's so silent you could convince yourself you're in a hybrid, as the predominant sound is not the engine or exhaust, but the tyres. McLaren says its customers like to use their cars, but even so, we'd like the odd ripple or flair from those big rear pipes on a Comfort mode downshift just to remind you that there's an exotic, turbocharged engine back there with 720hp to spare. It sounds great from the outside, and in Sport and Track modes it's a bit more sonorous, but, for a flagship supercar, it's a little bit reserved for its own good. McLaren liberated some good sound from the 675LT by allowing a little roughness into the mix and it wouldn't hurt here, either. On the track, with it at its loudest, the stability and traction control systems giving as much freedom as you like via a Variable Drift Control, the 720S is devastatingly fast and fun. Its stability is incredible, the turn-in response so immediate, the brakes just sensational. The pedal feel from the brake pedal is among the best we've sampled, racer immediate, needing an assured push, but full of feel. It's a car rich in sensation and feedback, the rush of speed it brings, as much as its ability to carry it, is startling indeed. So much so that it'd need a determinedly driven McLaren P1 to shake a 720S off its tail around a track. You don't buy supercars with an eye on price, but if you want another McLaren with this sort of performance you'll be seeking out an F1 or P1 and dropping millions on it. There are masses of options available to spend more money, and McLaren buyers typically do so, many choosing to go to the company's dream factory at MSO (McLaren Special Operations), which can do pretty much anything you want to personalise your car. When you're in this sphere financially the money McLaren asks for the 720S is all but irrelevant. McLaren's second Super Series model is a technical triumph, a visual riot and a sensational drive, but for all its appeal it needs a bit of aural drama in its more ordinary settings to make it more of an occasion more of the time. In every other way it's an incredible car, with some genuinely game-changing technology and performance that's more hyper than super. McLaren continues to surprise and impress, and the 720S is no exception. Ferrari 488 GTB vs. McLaren 720S: a mere 670hp to the McLaren's 720hp, but those 670 horses are a lot more operatic and theatrical. 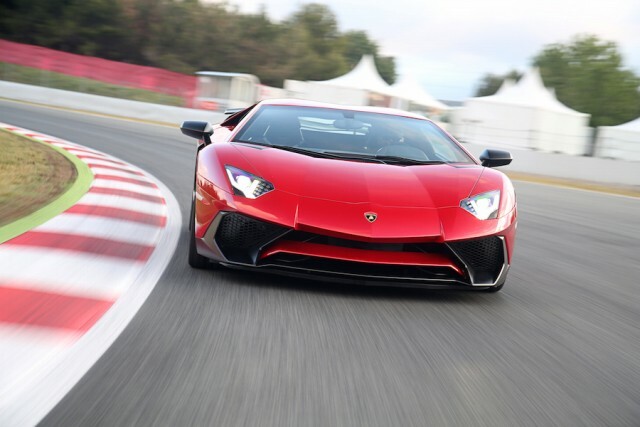 Lamborghini Aventador vs. McLaren 720S: big, dramatic, mid-engined naturally aspirated V12. So different; an old school supercar that's actually more sophisticated than you'd imagine. 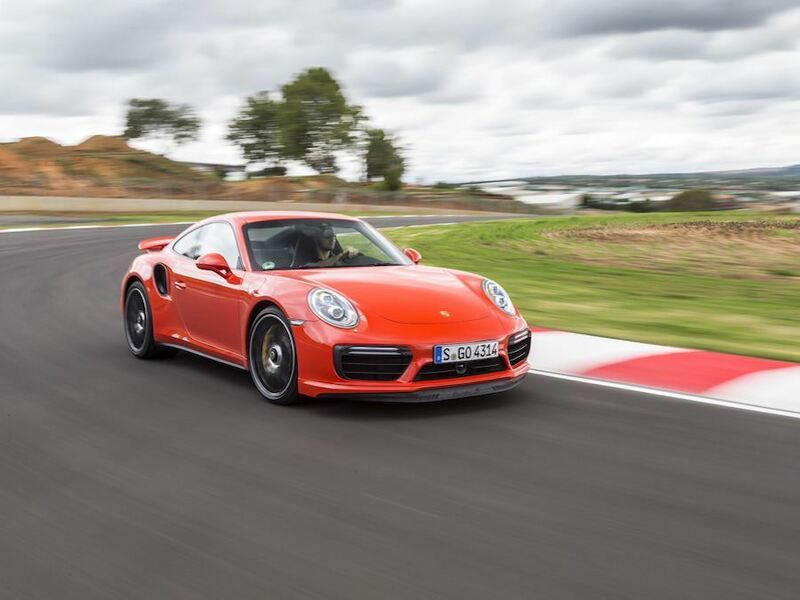 Porsche 911 Turbo S vs. McLaren 720S: the fast one, but for all its huge ability and pace its lustre is lessened by the fact it could be mistaken for a mere Carrera.